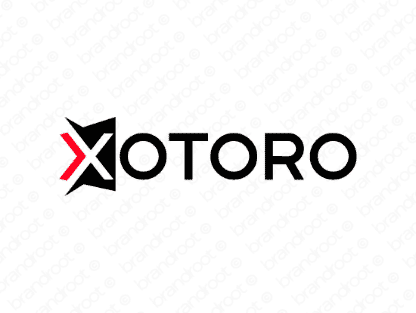 Brand xotoro is for sale on Brandroot.com! Bold and definitive this modern sounding name delivers an instantly recognizable brand with broad appeal. Xotoro is a lock-in for future-focused companies of all kinds, from pioneering engineering innovators to state-of-the-art technology and software businesses. You will have full ownership and rights to Xotoro.com. One of our professional Brandroot representatives will contact you and walk you through the entire transfer process.